HUSKY GIACCA TRAPUNTATA, BAMBINA/O, 12 M (1/2 ANNI). Pratica e fashion.utilizzabile in tutte le stagioni.da tenere sempre in borsa perché con i babini...non si sa mai..
Giubbotto imbottito in vera piuma d’oca bianco con bordi in cotone elasticizzato nero.anni 6. con cappuccio,buono stato. poco indossato,ha solo. 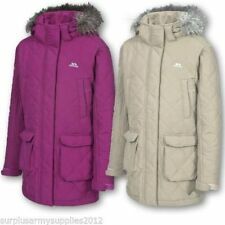 SONO TUTTE UTILIZZATE E MANTENUTE CON CURA MANIACALE E.
Girls padded hooded jacket with detachable faux fur for 14 year old . Condition is Used. Dispatched with Royal Mail 2nd Class. Faux fur collar is detachable. Giacca ragazze, rosa imbottito, cappuccio in pelliccia sintetica, età 12, nuovo con etichetta, BELLISSIMA! Bright pink with detachable Faux Fur Hood. Gorgeous Girls Jacket from Cars Jeans. Lovely and Warm! Pit to Pit: 21". Length for upper wear is from the nape of the neck to the bottom of the hem. See All The North Face Here. Label Size: 15-16 Years XXS. Colour: Pink. Type: Padded Jacket. Material: Nylon. Size: 15-16 Years. Material: Polyamide. 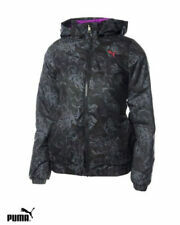 Type: Padded Jacket. Colour: Blue. Label Size: 11-12 Years.